CrossLink™ Professional Tax Solutions (CPTS) is a leading provider of professional tax software solutions. Computime, a supplier of signature products to Crosslink users since 2007, continues to provide the best value available. With the Scriptel brand signature pads, we now can offer a durable product line while still maintaining low prices. Each Scriptel signature pad ships with RapidCare. RapidCare is an overnight exchange warranty provided to customers in the 48 states. The overnight exchange warranty means that depending on the time you contact our support team, you will likely have a replacement pad the next morning. The other brand of signature pads forces you to wait weeks for your pad to be repaired and returned to you. The signing area of the Scriptel signature pads are easy to clean and are scratch resistant to insure your Scriptel pad will be ready to use for years. 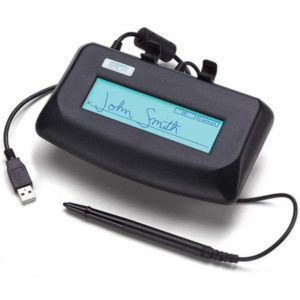 Scriptel Slimline ST1475 – a low priced non-LCD signature pad with a two year overnight warranty. 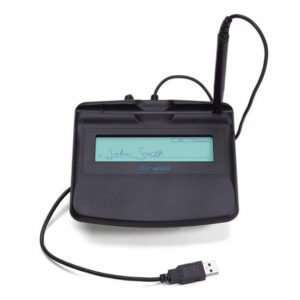 Scriptel Desktop ST1400 – a durable signature pad with a three year overnight warranty. 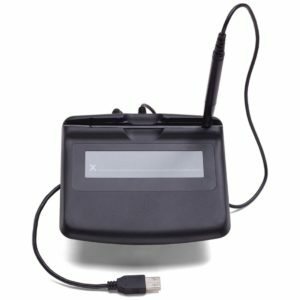 Scriptel Desktop LCD ST1500B – a rugged backlit LCD* display and a three year overnight warranty. Scriptel Slimline LCD ST1570 – the same rugged backlit LCD* with built-in wrist rest and a three year overnight warranty. 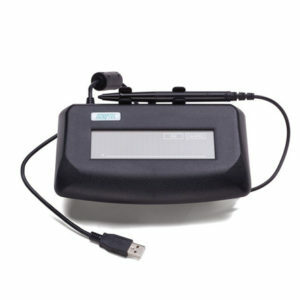 * Choose a model with an LCD If you like to see your signature on the pad, when you sign. If you need assistance choosing the right pad for your needs, contact us at 800-423-8826.